The hockey men and women from the NSW Institute of Sport were given a once in a life time opportunity to head up to Queensland and play international games to prepare Australian opponents (Malaysia, Ghana, Wales, and Pakistan) for the Commonwealth Games. It also served as an opportunity to expose the developing group to a level of hockey expected at this kind of event. 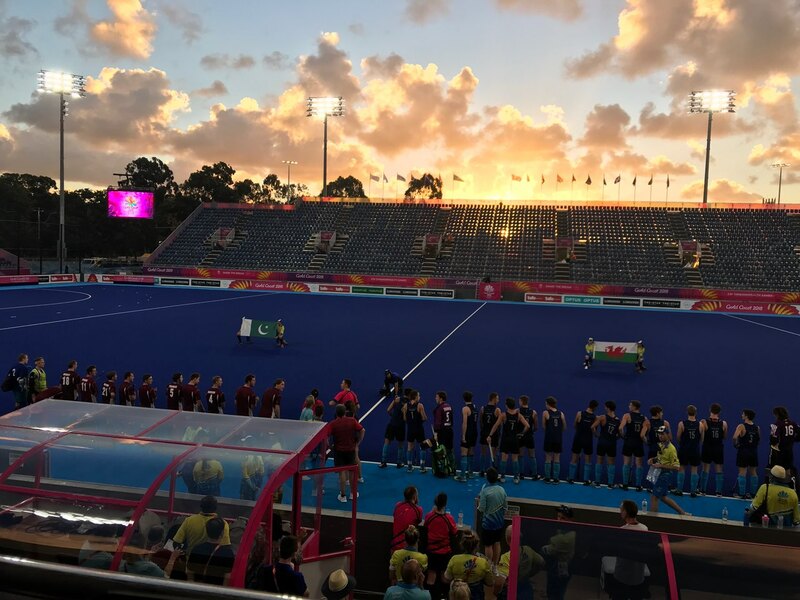 The depth of Australian hockey is highlighted by the results over the course of the training camp, from a team made up of predominantly athletes under 20. in a state team, who were able to beat the likes of Pakistan and Malaysia. We first headed to Lake Ainsworth Sport & Recreation Centre, in Lennox Head on the Far North Coast of NSW. It’s a location that has everything you can imagine. High ropes course, paddle boarding, swimming pool, basketball courts, a good gym… the list goes on. It was full blown scouts-style with buffet meals, bunkbeds, and a tonne of activities to boot. With top AFL teams spending time there, it was clear this place would not only offer a bonding experience for the hockey camp but a chance to get out of our comfort zone. During our stay the women played six games in six days and the men played four games plus an extensive training schedule. So, following our time staying at the Sport & Rec, we made our way to the Gold Coast for firstly a good old sleep. We had 8-16 bedroom houses on the canal in Broadbeach and it was an absolutely beautiful setting. I think everyone really took in not only the beauty of the Gold Coast, but how lucky we were to experience such high level hockey. We also got the chance to watch our Hockeyroos and Kookaburras compete at the Commonwealth Games. We went to see both the men and women win in an electric hockey stadium, the likes that our group maybe hadn’t experienced before. It shows that there is a lot more to elite hockey than simply playing the game. The pressure from a nation and the expectations on your back all play a part in your on-field performance. The fact that both NSWIS sides did so well against international opponents shows there is a lot of depth in our program. These are future Aussie players who got a taste of international action, and as a two-time Commonwealth Games Hockeyroo I can see there are champions in the making within these NSWIS squads. Thanks to everyone at #TeamNSWIS for making this happen – the future is certainly looking bright for hockey in New South Wales!